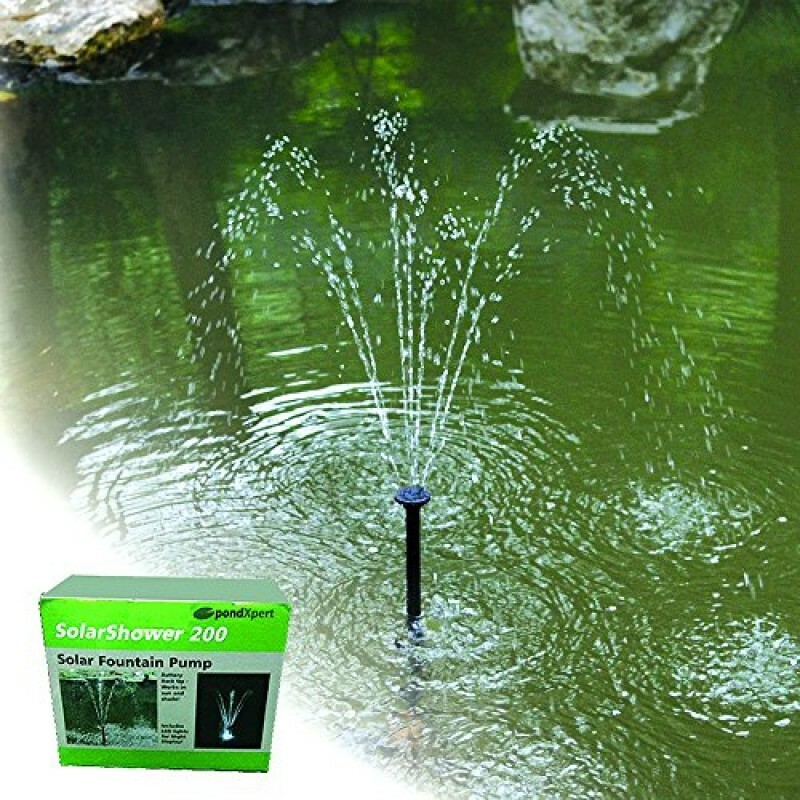 PondXpert SolarShower 200 Solar Pond Pump with Battery and LED Lights.NEW Lithium Battery. Attractive Solar Fountain. Home » PondXpert SolarShower 200 Solar Pond Pump with Battery and LED Lights.NEW Lithium Battery. Attractive Solar Fountain. The latest solar pump on the market - featuring the latest lithium back-up battery. This pump also automatically illuminates at night via its integral LED light. Now you can enjoy your solar pump when it is sunny or cloudy. Solar Fountain Pump with battery back-up - Maximum Flow Rate 200lph. Perfect pump for small gardens without the need for outdoor power. 2 watt solar panel plus 5v lithium battery. Envii Sludge and Pond Klear Xtra - Pond Treatment Pack - targets unwanted organics during winter. Pond & water garden products in the UK. Fast and often free shipping across the United Kingdom from Amazon.co.uk fulfillment warehouses.